Face off against overwhelming odds in brutal, non-stop combat where thinking on your feet is the only way to survive. Dodge hundreds of bullets with unique FPS/Bullet-hell hybrid gameplay. Each ship hosts hordes of alien machines, deadly traps, and intimidating bosses, all set on preventing you from saving humanity. Go get ‘em. To take down the MOTHERGUNSHIP, you’ll need your very own personalized arsenal of destruction. 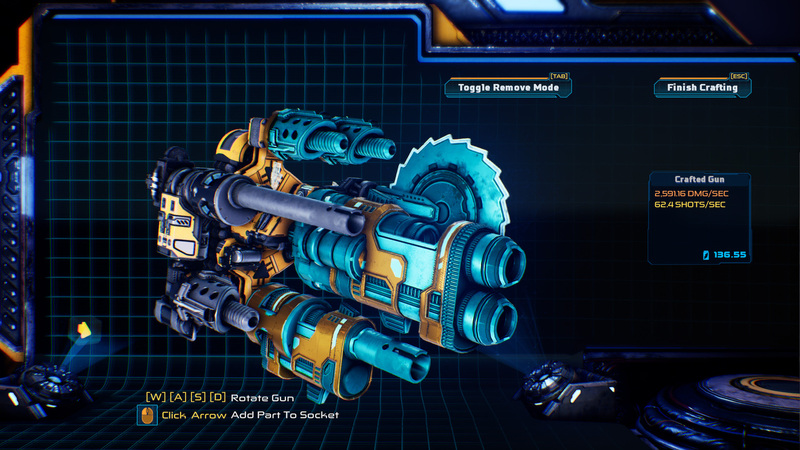 Luckily, in MOTHERGUNSHIP you can create the gun of your dreams with one of the most modular gun-crafting systems ever seen in a videogame. Want to have twelve-barrel gun that shoots homing rockets? Or do you prefer a lightning shotgun? And what gun wouldn’t look better with a fishtank affixed to the top? Go for it! The design of your destructive arsenal is in your hands. Join the ranks of the resistance against the robotic alien invasion. Destroy hordes of metallic fiends and earn your way to the Mothergunship! TO BE ADDED IN AUGUST 2018 AS A FREE UPDATE: MOTHERGUNSHIP will feature an online co-op mode. Fight together with a friend in a full co-op experience, while you work together to cut through the alien fleet and reach that ultimate goal – bringing down the MOTHERGUNSHIP. The wait is over! We are very excited to announce that FPS bullet-hell MOTHERGUNSHIP is now available digitally on PC, PlayStation 4, and Xbox One for $24.99 / €24,99 / £19,99. MOTHERGUNSHIP takes the blueprint of its spiritual predecessor, Tower of Guns, and amps every aspect up while still keeping ToG’s genre-mashed roots at the core of it all. With a gripping campaign, Endless Mode, and a Sandbox where you can craft nearly any type of gun creation you wish. Post-launch, MOTHERGUNSHIP will support free updates for the community to add more depth to your gameplay with new gun parts, more enemies and big bad bosses, extra features, and more modes. Our first update will release in August on all platforms, bringing online co-op gameplay, together with additional gun parts. If you want to read more about the co-op release and our future updates, check out our latest blog post. We hope you enjoy the game as much as we did making it! In case you have any questions or need any technical support, you can reach us out at our Discord community. 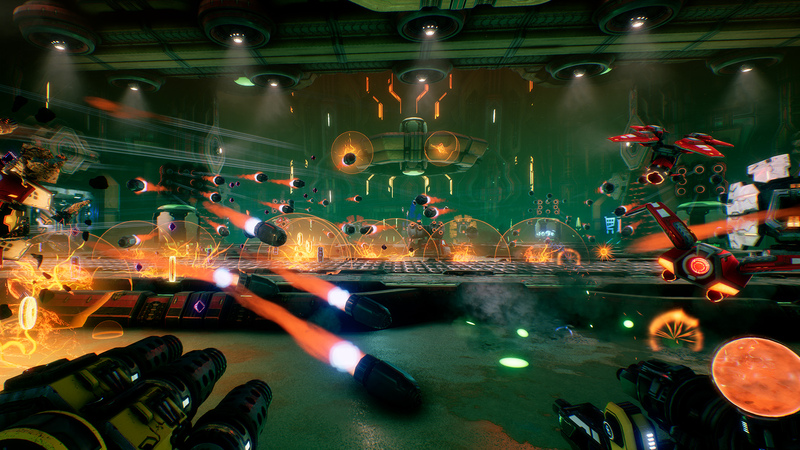 MOTHERGUNSHIP will hit online stores on July 17th on PC, PlayStation 4, and Xbox One! MOTHERGUNSHIP - The Community Creations! 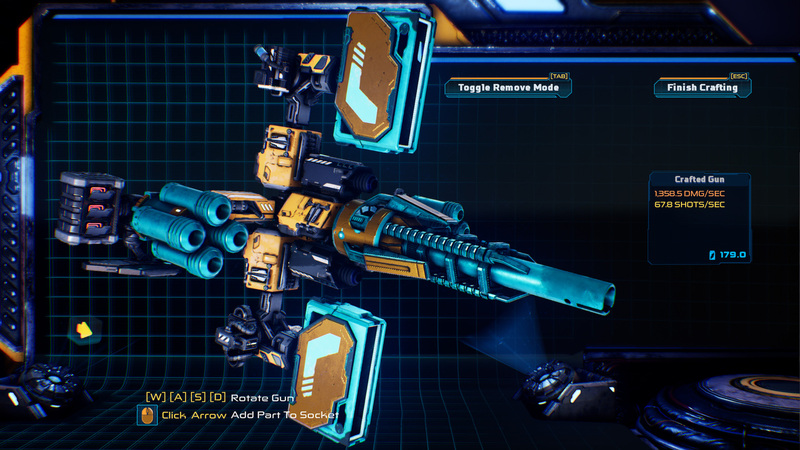 Check out our new blog post where we have selected the best of the best community creations from our MOTHERGUNSHIP Gun Crafting Range demo! 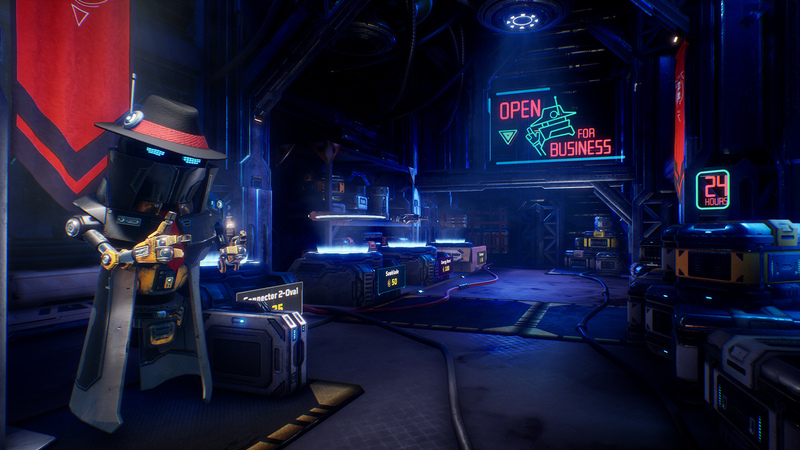 MOTHERGUNSHIP's Gun Crafting Demo is Now Available! 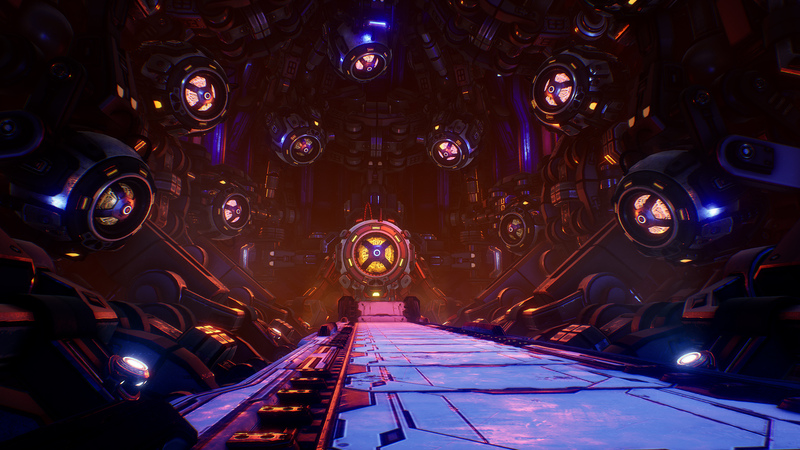 New MOTHERGUNSHIP dev blog-post: The Neon ship! Any chance of a Linux port now that Mothership is released? Visually stunning and you can see a lot of humor in the game. Like it and keeping fingers for good launch! They all have a high Tower of Guns (your previous game) value, which is awesome! And it all does look so very nice in the Unreal engine. So, thanks for the new update! This looks so cool every time I check it out and with every update. I love giant robots, Power Armor Combat Suits, and I freaking love guns and bullets. The art direction is so cool. My next free game will be just like this, but with more ships. With A.I assistance on both sides. Good work. Following, is this an indie game? super detailed - fantastic work! 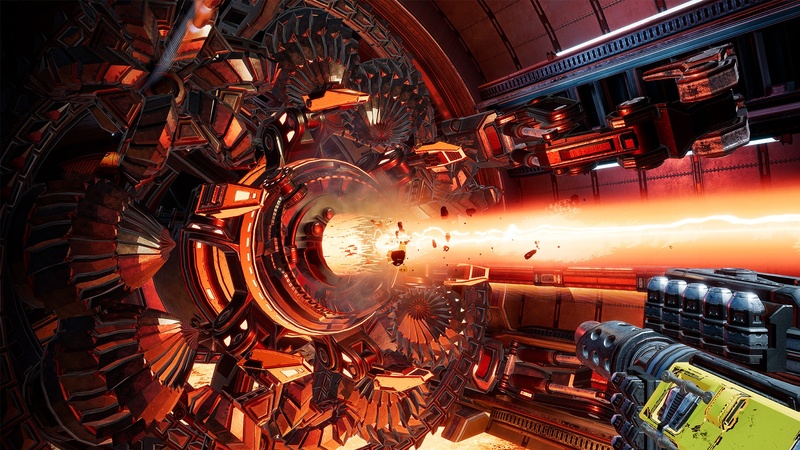 MOTHERGUNSHIP is co-developed by the same team who made Tower of Guns. It is not a sequel but there are similarities in the gameplay.